When putting your belongings in the hands of an airline, you’re taking the risk that those items might not make it to your desired destination – just ask Alaska Airlines’ CEO. Still, what are the chances that the same airline would lose your gear not once, but twice? A well-traveled Denver teen certainly experienced his fair share of travel-related nightmares recently. He claims that Frontier Airlines lost his hockey sticks twice on two trips, Fox 31 Denver reports. The first incident occurred when the teen was traveling to a hockey tryout in North Dakota in July. Although the flight was direct, the teen says his two hockey sticks never made it to their destination. With camp starting the next day, the teen’s mother says they had no other option but to purchase new equipment. When the sticks still weren’t returned to the family the next week before the teen was slated to fly to Florida for a tournament, the family shelled out even more cash for a backup stick. With his two replacement sticks now missing, the teen was forced to sit out the first game of the tournament. He was able to purchase yet another stick before the second game began. Although Frontier eventually found and returned all of the lost sticks, the family says they spent nearly $700 on equipment they can’t return. As a result, they’re seeking reimbursement from the airline. The mother says she’s contacted Frontier about their policy, which states the carrier will reimburse passengers for incidental expenses incurred as a result of delayed baggage delivery per DOT guidelines. The DOT directive instructs airlines to cover costs up to $3,400. 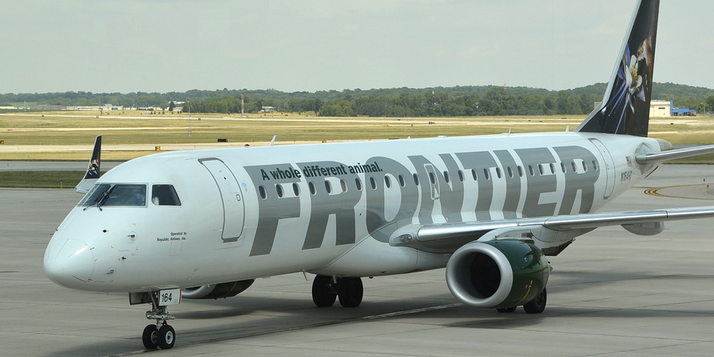 However, after weeks of back-and-forth with Frontier, the woman says she stopped hearing from the carrier, leading her to file a complaint with the Colorado Attorney General’s Office and contacting the TV station last week. Since then, she says she’s heard from Frontier, but missed the call. A spokesperson for the airline tells Fox 31 that it is working with the family to get information about the case.